As the cold weather settles in, we’re spending more time inside our homes. It’s that time of year where we turn up the heat, cook indoors, and build a few fires. 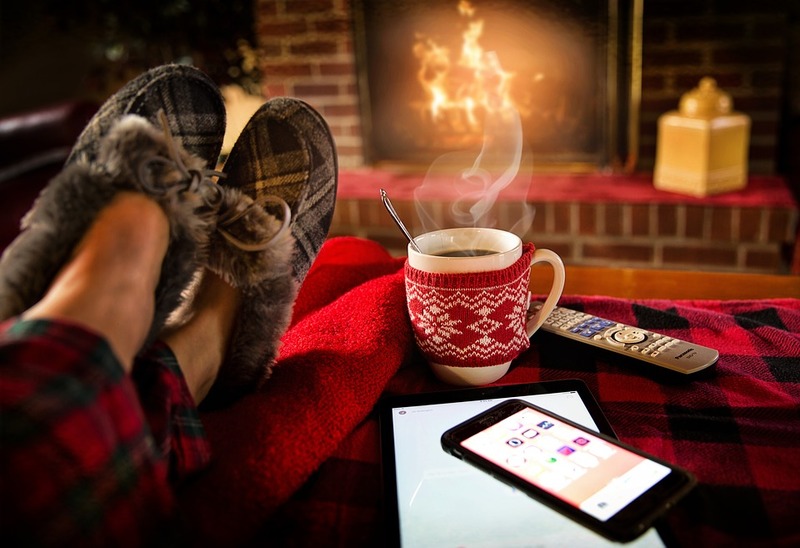 It is a fun time to cozy up with family and friends, but it’s also important to stay aware of household heating and electrical hazards. Follow these safety tips to make sure that you keep your home as safe as possible. Colder seasons increase the risks of carbon monoxide poisoning. Carbon monoxide is a clear, odor-less gas produced by sources such as heating systems, fireplaces, and car exhaust. Installing carbon monoxide alarms in your home is an easy way to alert you of this potentially fatal gas. Similarly, place smoke alarms in each bedroom, in the hall, and on each floor of your home. Alarms should also be tested monthly to ensure they are working properly. We all love the romantic glow and comforting fragrance of candlelight. But, in a NFPA study from 2009-2013, U.S. fire departments responded to an estimated 9,300 home structure fires that were started by candles. Most candle fires begin because they were too close to flammable items, were left unattended in a room, or simply because they were knocked over. Be cautious of this when lighting candles in your home and be extra careful when they are around children and pets. Cooking is one of the main causes of home fires, especially during this time of year. Rather than grilling, people stay indoors to cook. The main source of kitchen fires comes from cooking on the stove. With open flames and hot oil, it’s essential you pay attention and keep your eyes on the stove at all times when cooking. Keep your clothing and flammable materials away from open flames. Also do not leave anything on the stove even when it’s not in use. Most importantly don’t get distracted! Fires are also caused by electrical system failures, as well as poor maintenance and misuse of electrical appliances. Be sure to have correctly installed wiring and do not overload circuits and extension cords. Also make sure you have the right cord for the appliance: keep the heavy duty cords for outside use. Space heaters are the easiest temporary sources of heat to keep your room toasty in the winter. It is highly recommended to keep these at least three feet from combustible materials such as towels, clothes, and newspapers. Do not leave them on when you leave the house and do not attempt to heat the entire home with them. They are meant to be for small spaces. There is nothing more comforting than hanging out around the fireplace in the colder months. Take simple precautions to minimize their risk as a fire hazard. Have the chimney inspected and cleaned annually. Be sure to use the right kind of logs and don’t use an excessive amount of materials to build large fires. Keep them at a management size, enclosing the front of the fireplace with a screen to keep the sparks from jumping out into the room. Also, keep the damper open, never closing it when hot ashes are in the fireplace. Keep your homes and families warm, cozy, and safe this season by following these simple safety tips!